The Baker Motor Vehicle Company of Cleveland, Ohio, was founded in 1899 by Walter C. Baker. They built passenger vehicles, commercial vehicles, and land speed record cars (yep). All electric. 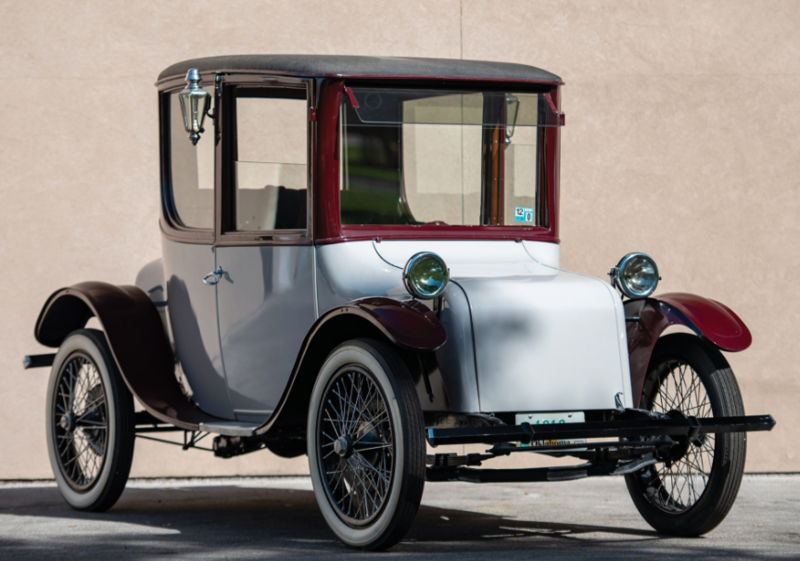 And many of them looked like conventional gasoline-powered automobiles of their time (not something every electric car company could say, though Baker built similar-looking cars too). 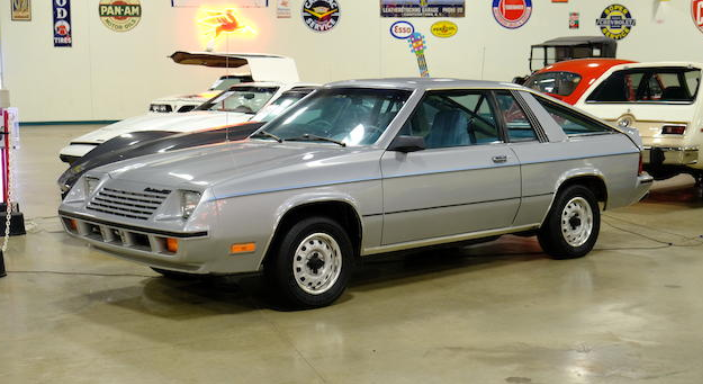 This particular car, an ex-Harrah car, had its motor replaced in the 1980s and is now powered by an 18 horsepower unit, and a partial restoration was carried out in 2012. 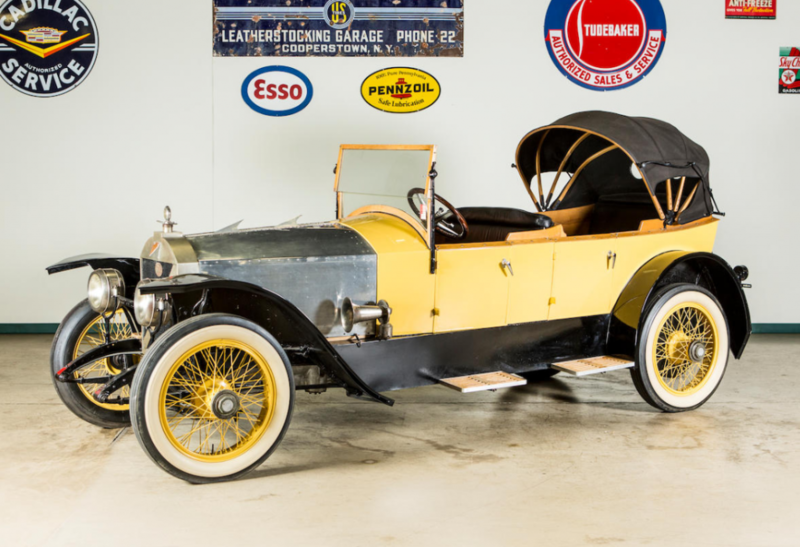 This car looks like a normal convertible from 1912, except that it is essentially square (as long as it is wide, riding on an 80″ wheelbase), which is kind of unusual. 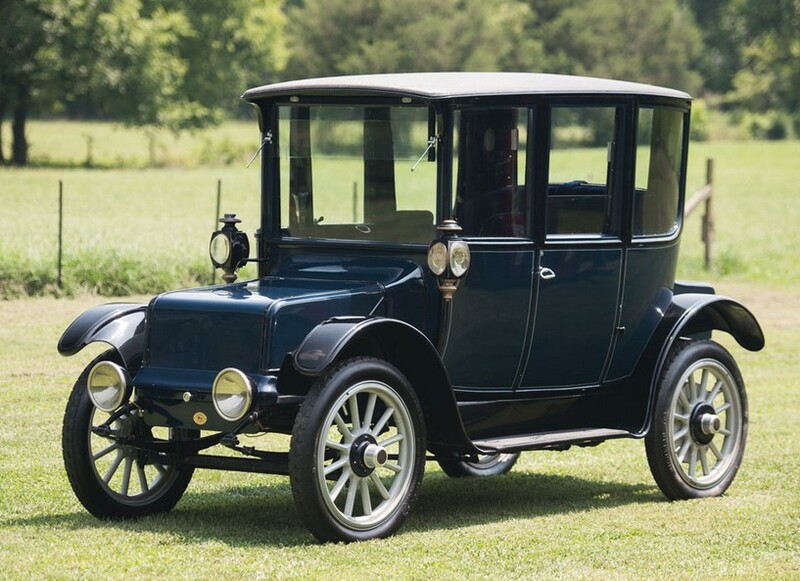 Four different body styles were offered in 1912, with this being the least expensive. 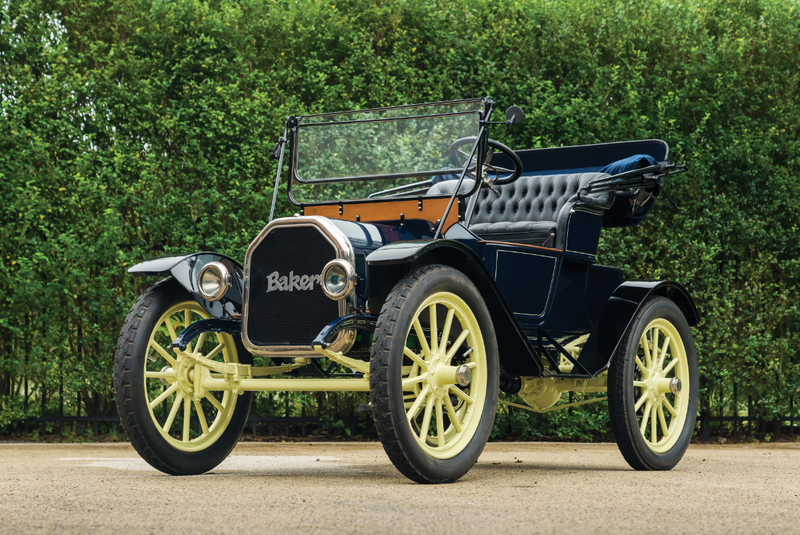 In 1914, Baker would merge with Rauch & Lang and the final Bakers rolled off the line in 1916, though commercial vehicles soldiered on for a few more years. 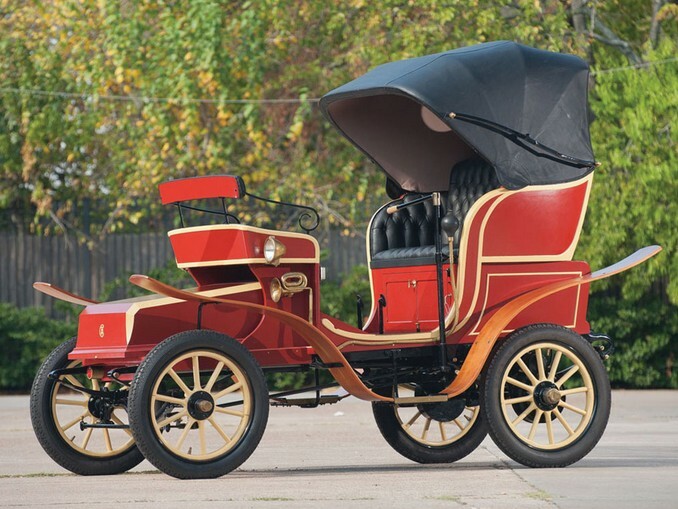 Thomas Edison’s first car was a Baker Electric. So if you have a 16-year-old out there waiting for their first ride, go ahead and buy this for them. Maybe they’ll invent something. This car should bring between $85,000-$100,000. Click here for more info and here for more from this sale. There is no more polarizing automaker right now than Tesla. 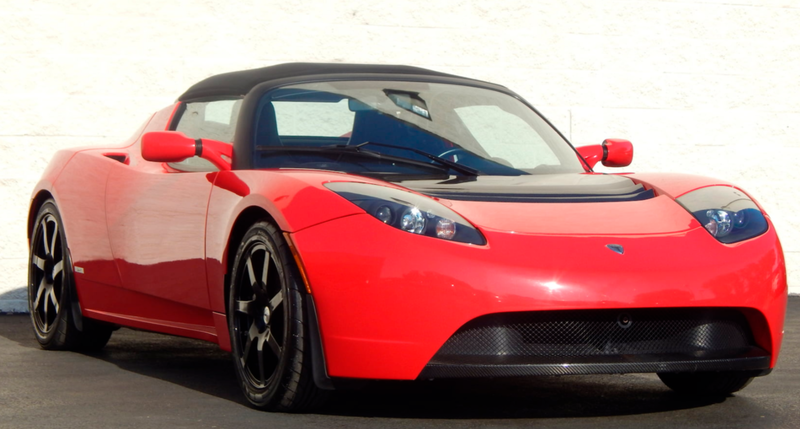 While their current products and leadership seem to divide people into the groups of Skeptics, Fanboys, or complete indifference, I think we can all agree that the original Tesla, the Roadster, is still a pretty cool car. The Roadster was produced between 2008 and 2012 and was based on the rolling chassis of a Lotus Elise (much like the Hennessey Venom GT). Instead of fitting it with a small four-cylinder engine, Telsa used their own electric motor which offered a maximum horsepower of 248. The Sport model, which was released in 2009, made 288 horsepower. The base model could hit 60 mph in 3.9 seconds and topped out at 125 mph. Only about 2,450 of these were built – and so far there is only one of them floating around in space. This is a well-enjoyed model, showing 41,235 miles. It comes with two different tops and charging cables. If electric cars continue become more and more widespread and adopted, then this car will stand as sort of the first of the modern electric road cars as it more or less launched Tesla, the company leading the electric car charge. When new, this car cost a little over $100,000 and it probably hasn’t depreciated all that much (if it hasn’t appreciated by this point) due to the draw Tesla cars have right now. Click here for more info and here for more from this sale. The Milburn Wagon Company of Toledo, Ohio, got into the car business in 1914 after decades of wagon building (they’d been around since 1848). 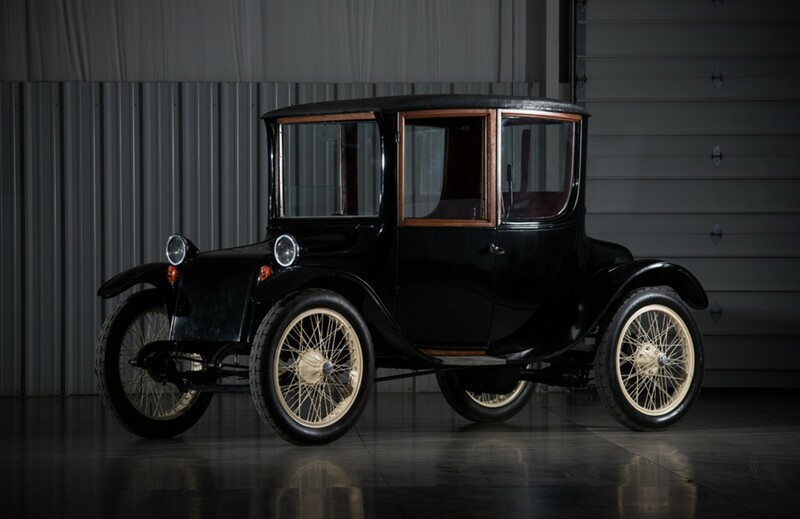 Their cars closely resembled those built by other major American electric car manufacturers of the day, such as Detroit Electric and Rauch & Lang, among others. What set the Milburn apart was that their batteries were on rollers – so you could have a spare set at home and just pull into the garage, roll the spent batteries out of your car, roll a fresh set back in, and be off again. 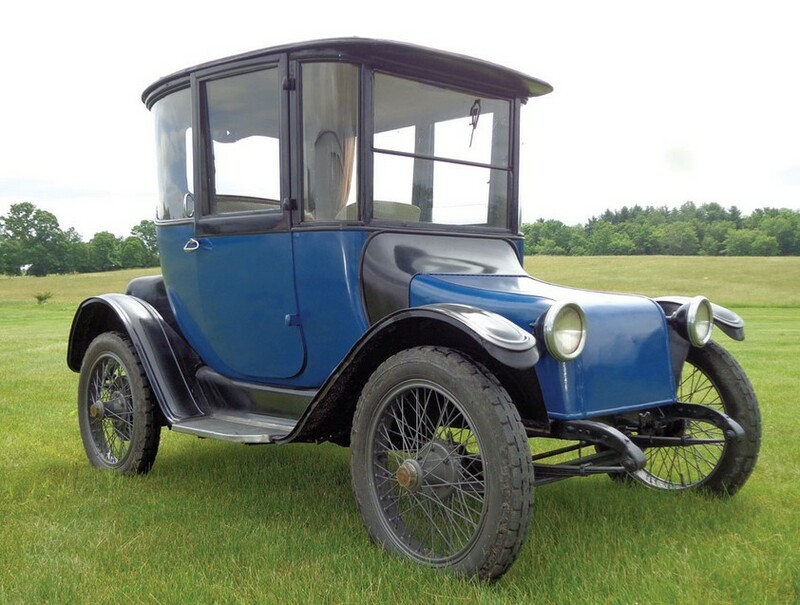 In 1918, three bodies were offered and this one could do 30 mph and 100 miles on a charge. It cost $1,885 when new. 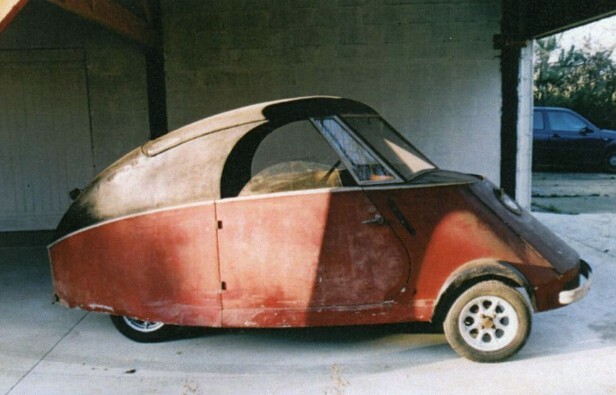 Milburn got into the game a little late – by the time they got up and running, the electric car was on the decline. The last Milburn Electrics were built in 1923. 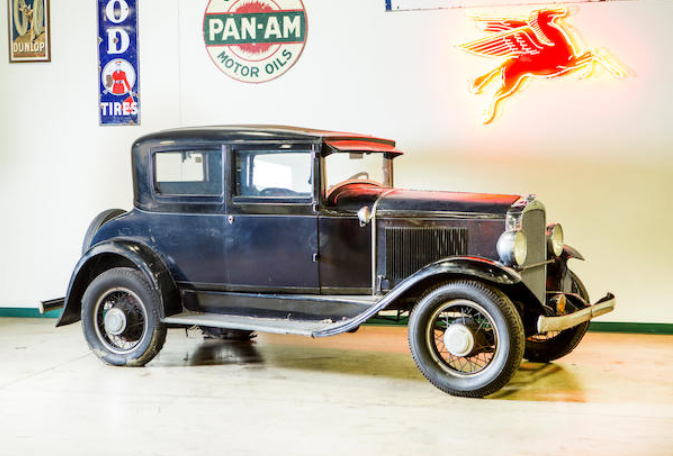 There’s no estimate on this car, but there’s no reserve either. Click here for more info and here for more from Barrett-Jackson in Vegas.